A Fine Gael councillor and constituency ally of Taoiseach Leo Varadkar is suing a Sinn Féin activist over what the High Court heard was a defamatory statement on Facebook. 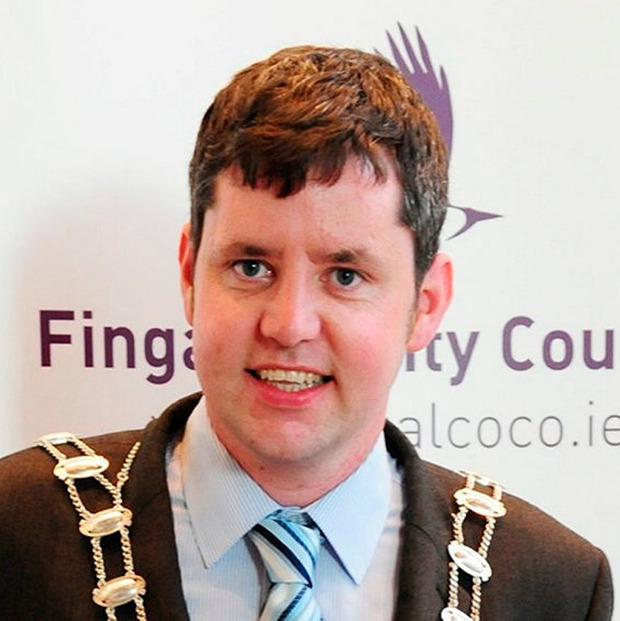 Cllr Ted Leddy (32), who holds the council seat in Castleknock once held by Mr Varadkar, claims activist Alan Donnelly defamed him in in a Facebook post which he says led to a death threat and other “odious matters”. Mr Donnelly, a brother of Sinn Féin Dublin West Dail candidate and Mulhuddart councillor Paul Donnelly, denies the claims. Mr Donnelly brought an application before Ms Justice Leonie Reynolds requiring Mr Leddy to provide a statutory declaration that he (Leddy) had been fully advised of his option to have the matter resolved by mediation. The judge dismissed the application saying it was “premature and heavy handed”. John J Morrissey BL, for Mr Donnelly, said his side asked the Leddy side to consider mediation under the 2017 Mediation Act, requiring a solicitor to advise a client to consider the option as an alternative to much more expensive court proceedings. The Act requires the solicitor, among other things, to provide a client with information about the advantages and benefits of mediation are. Mr Morrissey said, despite correspondence before Christmas, his side had only learned on Monday morning that Mr Leddy’s client had been so advised. However, it was still his case the Leddy side had not complied with the requirement to provide a statutory declaration as also required. Willam Maher BL, for Mr Leddy, said before Christmas the Donnelly side had been advised Mr Leddy was in the process of filing the statutory declaration. But within a few days into the New Year, this court application, which also sought a strike out of the proceedings, was brought, counsel said. This was “very curious” in circumstances where the other side were seeking settlement talks over a statement on Facebook by a known political activist against a known councillor in which he was defamed, he said. Yet no defence to the defamatory statement had yet been filed and this was of particular concern given “what has been visited on Mr Leddy, up to and including a death threat and other odious matters”. Ms Justice Reynolds said the purpose of mediation is to achieve a resolution of a dispute. “It is quite clear this motion is premature and heavy handed”. She struck it out with no order as to costs and gave seven days for the statutory declaration under the Mediation Act to be provided.